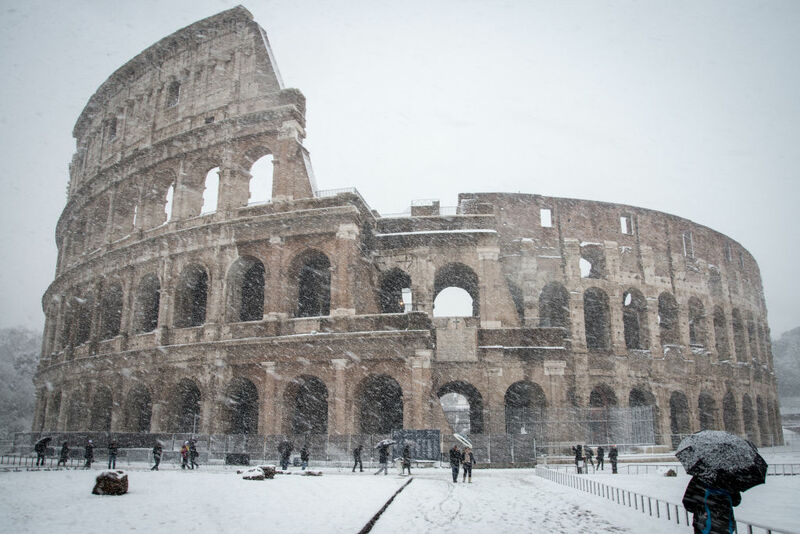 A rare thing happened in Rome, Italy on February 26th — it snowed! 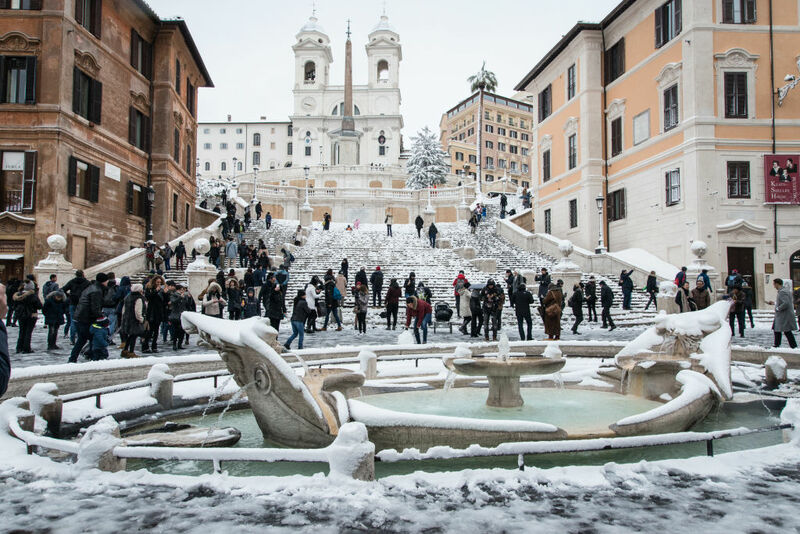 An Arctic storm meteorologists are calling “The Beast from the East” is blanketing Europe in snow, but it’s most shocking to see this kind of freezing weather in Rome, a Mediterranean seaside city that almost never sees snowfall. 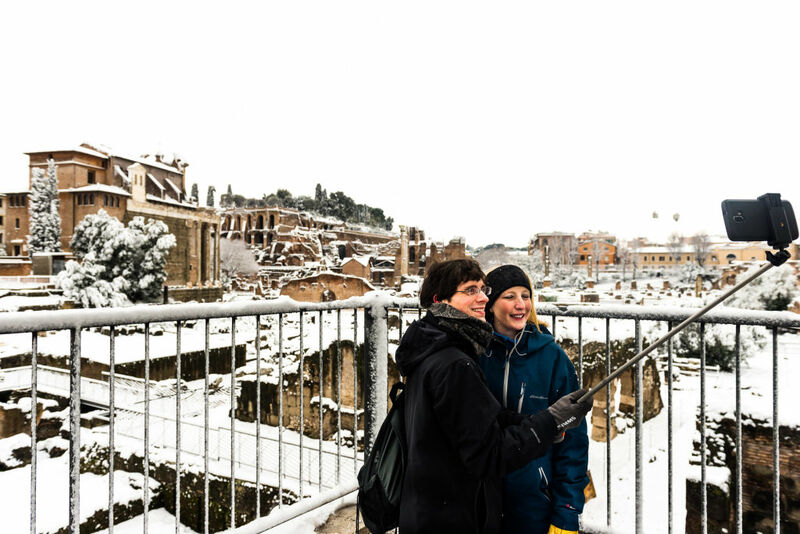 Imagine Las Vegas, Nevada or Sydney, Australia covered in snow — that’s how crazy this winter sighting is to Romans. Even though it’s just a few inches of snow, ABC News reports that public transportation in the city has been halted, the mayor closed the schools, and the military has come in to clean the streets. The “Beast from the East” originated in Siberia (where people were documenting below-freezing temperatures and frozen eyelashes) and is expected to cover most of Europe, including the U.K., with below-freezing temperatures, several weeks of snowfall, and extreme wind chill. Beyond Rome, the rest of the internet is marveling at this rare icy sighting. #Rome & #Vatican under the white coat of the #Snow !#Magical ! While Rome is happy to have a snow day, the rest of Europe is bracing itself for this record-setting winter.